Sometimes it’s the journey that teaches you a lot about your destination – Drake. These words ring true as I recollect my recent trip to Hubli where I realized yet again that the journey is as important as the destination. Driving down on a weekend from Bangalore, the weather seemed rather dry and got progressively hot when we stopped for a break a little before the town of Harihar. While I decided to take a little walk around a bit to stretch my legs, huge mounds of what seemed to be like wet mud/clay caught my attention. 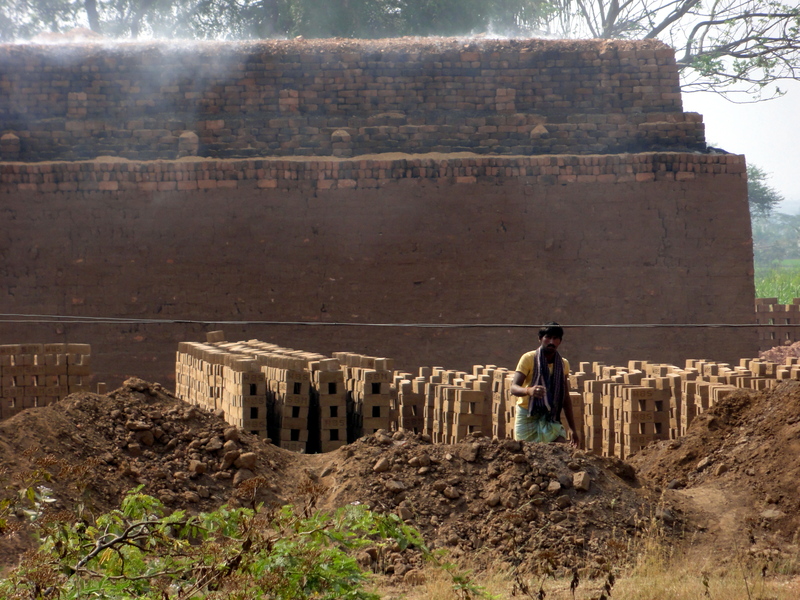 Moving closer I could see men and women toiling in the harsh sun making bricks! In fact, I realized that the surrounding area had quite a few brickyards. Since I had never seen one before, I hung in there further speaking to the ‘brick makers’. 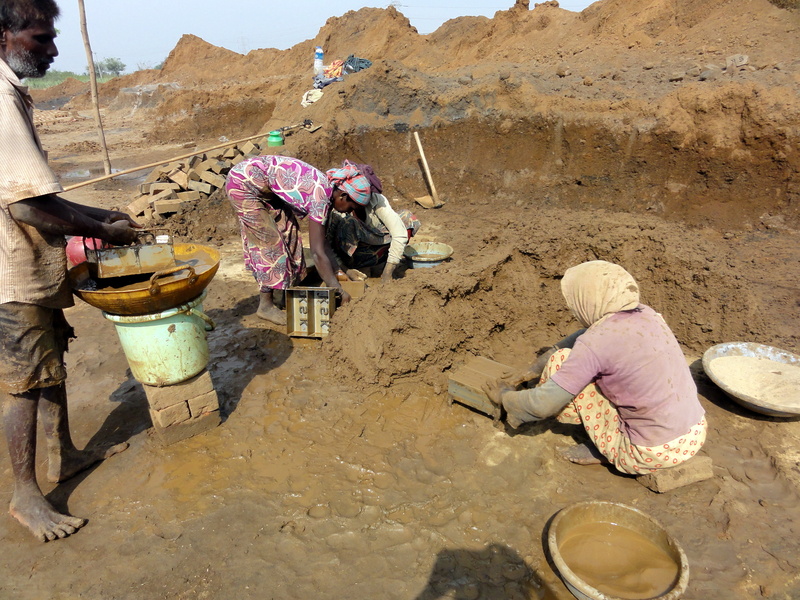 The entire process is by no means an easy task with the workers digging their hands into mounds of silt that is gathered from the river banks and mixed with sand and coal among other things. 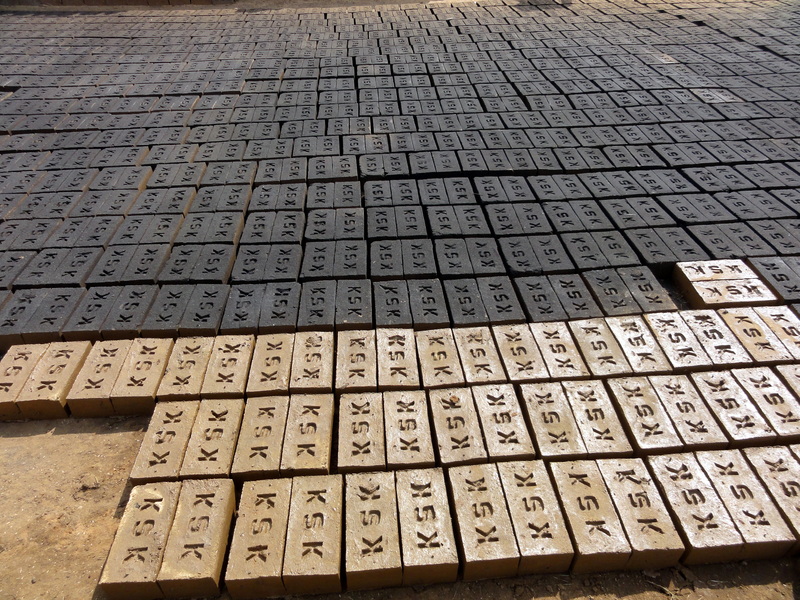 The semi-solid mixture is then dexterously filled into iron moulds and dropped on to the ground to dry for 4-5 days in the sun. Once sun-dried, they are carried and stacked one on top of the other into tall mounds and baked. 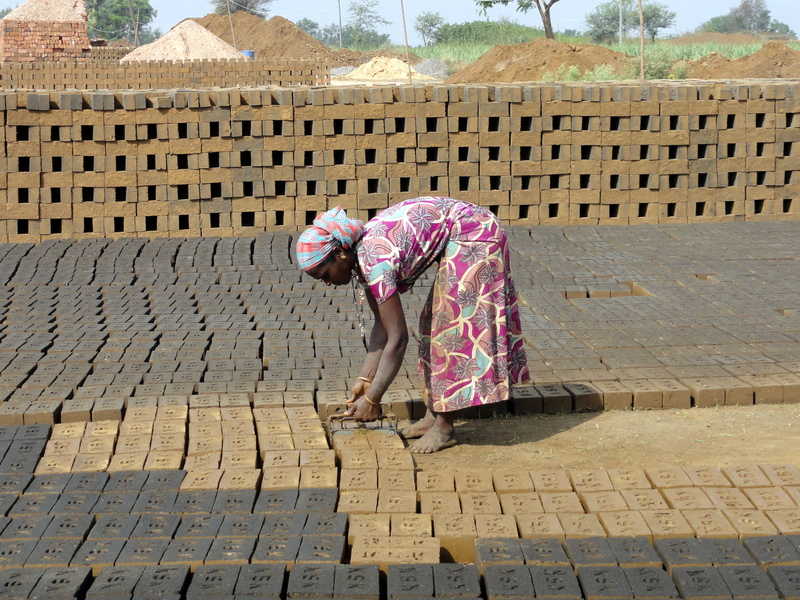 The husk from paddy which is obtained as product of rice milling is stuffed into the spaces between the bricks for baking. 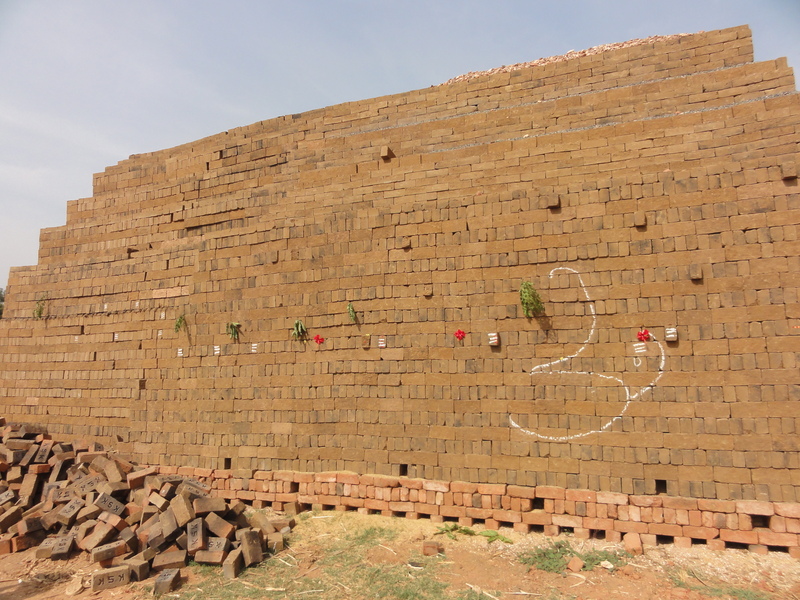 The precision with which the bricks were produced in the grueling heat was really admirable, to say the least. Moving on with our journey, I could see boards indicating that the town of Byadgi synonomous with the famous Byadgi red chilli was close. A common ingredient in Indian cuisine and widely used on a daily basis, I was quite excited with the idea of seeing the miles of chilli fields. When you use the Byadgi chilli it lends a deep red color to the dish but the taste is certainly not as fiery unlike its counterpart the Guntur chilli making it pleasant on the palate as well as the eye! This makes it a favorite with a large number of South Indian households including both North and South Karnataka. As we entered the village, we were given to understand that the chillies are not actually grown in Byadgi but in the surrounding areas. The town, however serves as a center to market this crop and also has an APMC yard for the commercial exchange of this sun-dried commodity. 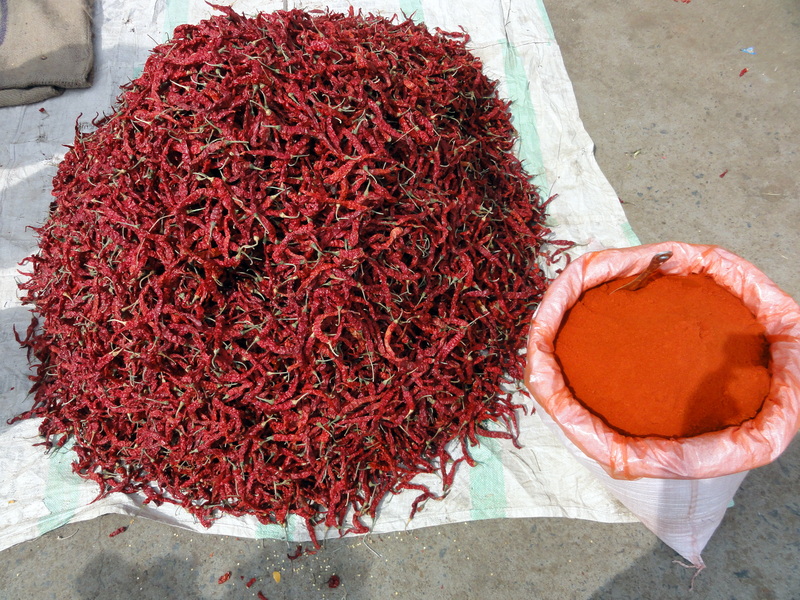 We came across a vendor on the street selling the fiery red produce as well its powder. I took the opportunity to stock some as it was truly farm fresh! Byadgi is around 18 km from the famous business center Ranebennur in Haveri district of Karnataka. 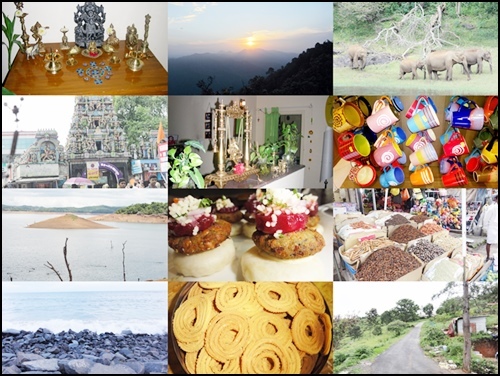 Both these experiences were a revelation that made me realize that there is so much more to see during the journey to a destination. 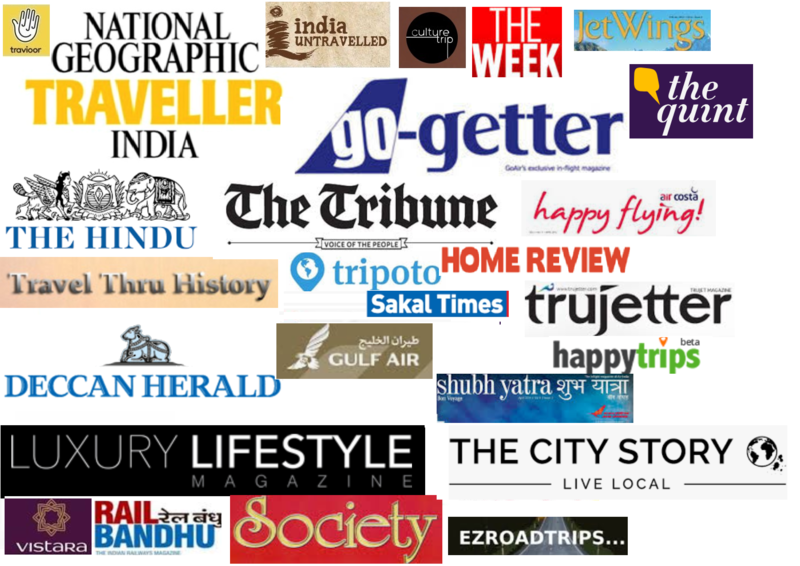 Travel in India, especially, offers many opportunities that make the overall experience more meaningful and enriching. Definitely; thanks for your comments. 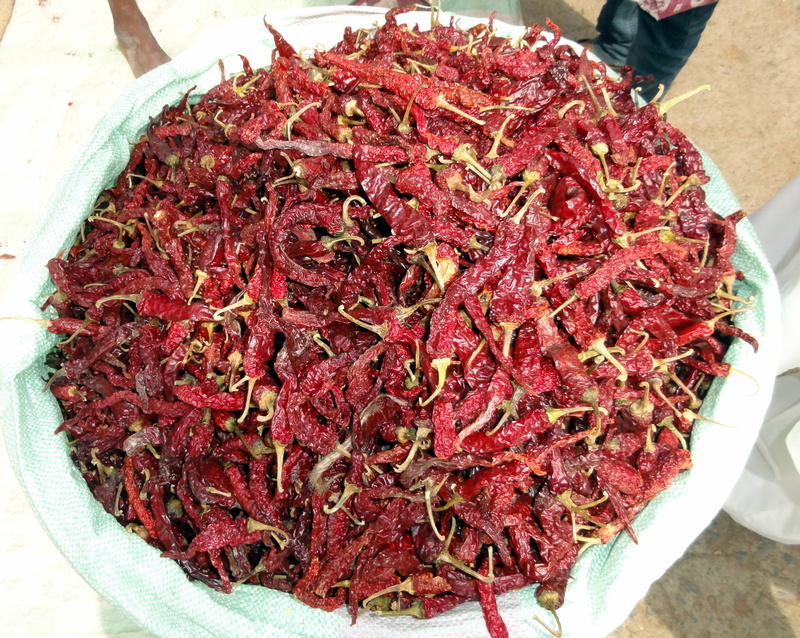 Wow, you like Guntur chillies? Then you must be loving a lot of spice in your food! Thanks Seema for reading:) Yes, this entire manual process is definitely a tough task but hats off to the workers. You have covered an unique subject Very beautifully . Totally agree there is plenty to see where ever we go. Most of the time we miss them as we have only one thought in mind thats the destination. Yes Arun; I was so glad that we did the stop. Most of the time, even we are rushing against time with a totally packed agenda! Thanks Lynn and Alex; that is so kind of you to say. Also thanks a ton for all your valuable comments and reading my posts. I really appreciate it. Ok..that depends on how many you use. But when you use about 3-4 of them for a dish that servers two people, there is a high chance that you will end up with a burning sensation in your mouth and have water running through your eyes and nose! At least that happens for me:) The color these chillies lend to the food is quite pale, though. So it is quite deceptive! Since the time we learnt to cook, Byadgi chillies have been an essential item in our kitchen. We are totally hooked to it because of its subtle spiciness. So great that you got to visit the place of origin(atlas in name). 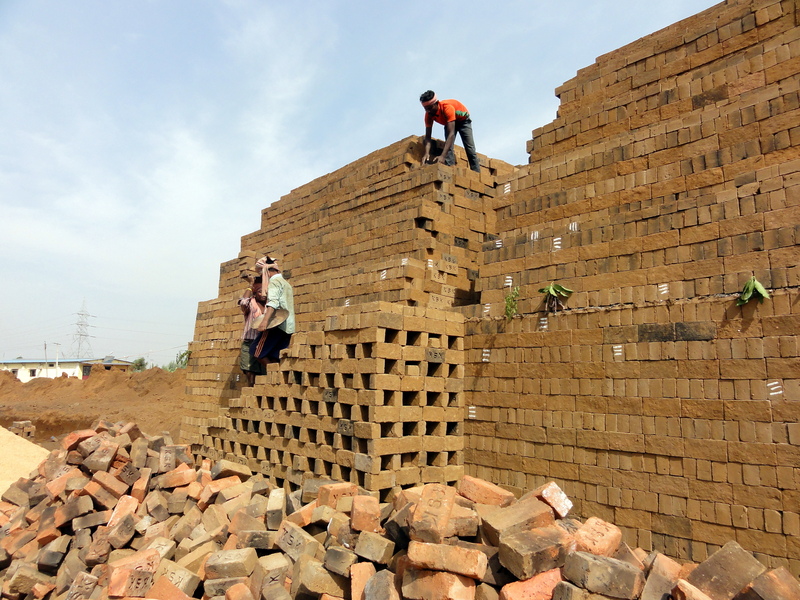 And hats to these workers for all their hard work and dedication in brick making. Thanks Hema & Suma; I love these chillies too; so I was really keen to take the ‘detour’ as soon as I spotted the board! Happy to you liked the post. Yes and remarkable symmetry too!